Urban grooves musician Plaxedes Machuma Joka (popularly known as Plaxedes Wenyika) and businessman Mike Joka have won a divorce settlement in the High Court. After a convoluted divorce battle, the couple’s 13-year marriage officially came to an end yesterday, after High Court judge Loice Matanda-Moyo granted a decree of divorce. Wenyika filed for divorce in August this year, citing irreconcilable differences with the entrepreneur, who is the founder of Corporate 24 medical centre. The couple married in 2005 and solemnised the union in terms of the Marriages Act (Chapter 5:11). 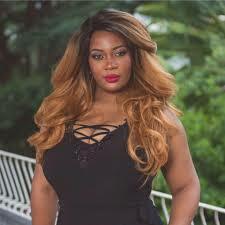 In the divorce summons filed at the High Court, Wenyika claimed $1 500 for her welfare and maintenance every month and $1 110 monthly for each of the three children, including the one in boarding school. In addition, she claimed $300 for the wages of her two maids and a gardener. She also claimed $80 monthly for DSTV subscription. The artiste, who initiated the divorce proceedings, told the court she wanted the businessman to maintain her in a manner she “had been accustomed to” during the happier times of the union. The businessman already pays close to $8 000 termly as fees for the children’s who attend elite private schools but the musician wants the responsibility to be turned into an enforceable court order. “In similar vein, I am seeking an order that the respondent be directed to pay school fees of the children in the private schools and pre-schools they are currently enrolled in and that in the process he acquires all uniforms and equipment as may be required,” reads Wenyika’s founding affidavit. She also sought an order that ensured the children remain on the father’s medical aid.